The family game Touria invites you to countless adventures in the land of the Dancing Towers! Who is brave, clever and heroic enough to defeat dragons, collect gems and get the king's blessing to marry the princess Tara or prince Talan? Keep an eye on the twisting towers, they will lead you all the way to win the royal heart. Each round you will choose from up to 4 actions, which the towers point in your direction at that moment. 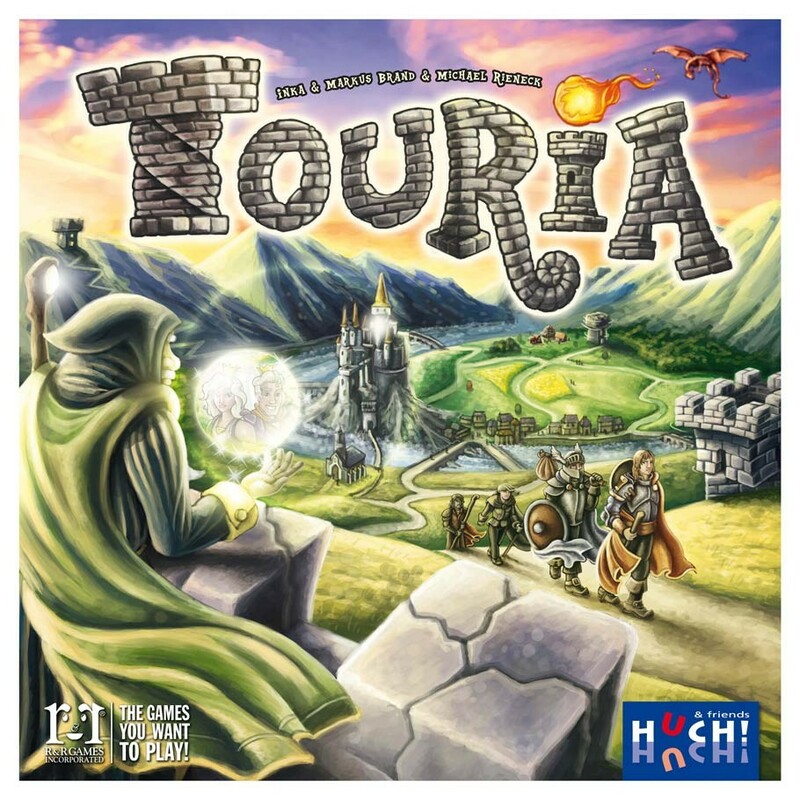 Then you twist one tower away and start marching heroes' group alonf the roads of Touria to your chosen destination. On the way, you may collect gems from the magic mines you pass through before meeting one of Touria's inhabitants. 8 diffrent characters help you on your quest to fame and fortune. Who uses their help best may race back to the castle and ask for the royal hand - if he is quick enough to find the right door.